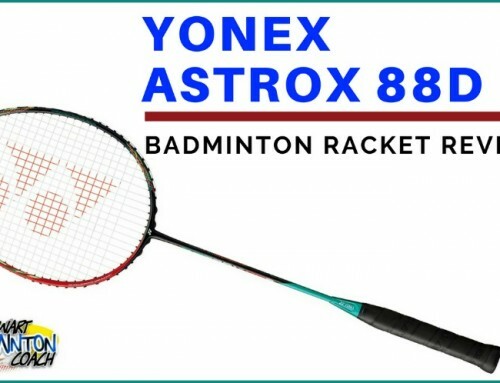 The Yonex Voltric 7DG badminton racket is one of three frames in the DG series, namely VT1 DG, VT7 DG and VT10 DG. These are considered mid-range rackets. 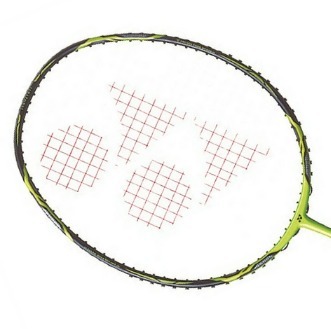 The Yonex DG series rackets can be restrung up to 35lbs tension. 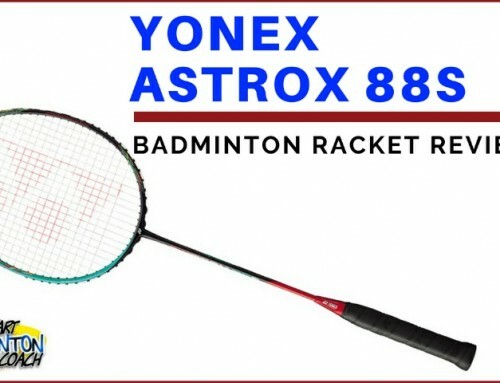 When I heard about these rackets I had mixed feelings, so here is my warning to all players who consider this means they must have their racket restrung at 35lbs tension. 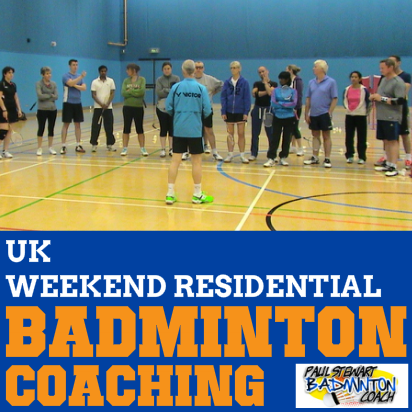 Most of the professional players do not have their badminton racket restrung at this tension. 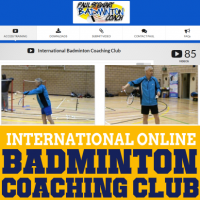 Most players do not meet the standards of professionals who are trained to play with such high tensions, and therefore what is the point of attempting to play with a racket restrung at such a high tension? High string tension does NOT give you more power. If you want to test a racket at this tension, I suggest you take it to a professional stringer and not a bedroom part-time stringer. The only good thing I can think of by introducing a racket that will withstand such high tension is almost a inference that the racket is stronger. However, this does not mean the frame will remain intact if there is a collision with another racket. Overall, it concerns me that this series has been released because of the above reasons. Players can injure themselves if they risk playing with a racket restrung to 35lbs. However, I have written about high string tension before and there’s no doubt somebody will ignore my warning. I appreciate that string tensions in Asia tend to be higher than in Europe, so I am sure the DG series of rackets will have more appeal there. Voltric 7DG is a bright great looking racket combining black, and lime green. This is a 3U (weight 85-89g) G4 grip size with the standard full length Voltric racket cover. 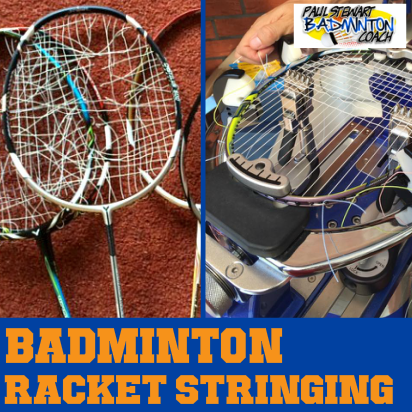 The racket was pre-strung with an unmarked string more or less to factory settings, so it is not being tested at very high tension. As with the 10DG, thankfully, the stencil ink remained on the racket this time so again, it makes me wonder whether this was restrung by the retailer prior to sending to me. This is a stiff, head heavy racket. The 7DG features a standard size head compared to the compact frame on the 10DG. Basically this is a supposed beefed up Voltric 7, although it has a different feel. VT7 DG carries less weight in the head and therefore swings better than the Voltric 10 DG I tested previously. Being a mid-range range badminton racket, it doesn’t have that feel I got from VT Lin Dan Force, but it’s still a pretty good hitter and in my opinion, delivers better than the 10DG. Overhead clears were good with the head moving quicker and easier than the 10. Drop shots were better too, providing a quicker and shaper feel. I’m sure a better string will bring out more of the better qualities of this frame, so there’s more potential to comment on. There’s that nice feel from a degree of weight behind the shot but not too much that you feel it’s hard work controlling the speed of the frame. The lighter frame delivered well in the smash department too. 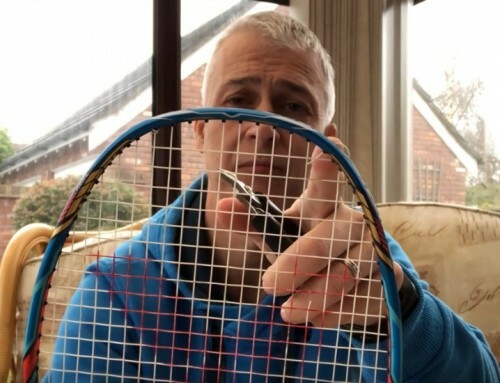 I don’t expect to record my biggest smashes with this frame/string combination, but I was happy that the racket demonstrated it’s not a slacker here. Flat drives were so much easier with 7DG compared to the 10DG. The racket moves faster and is less tiring. It is a fair way off the excellent LD Force in terms of performance, but there again, this is a fraction of the price. Again, it’s good to report some improvement and possibly more in keeping with the original 7. A head heavy racket has to be worked unless you have wrists and forearms of steel. Good hands skills are a must if you wish to get the best out of a head heavy racket when defending. A fast head is required when trying to capitalise on tricky or tight net situations. The 7DG is relatively quick and solid, but don’t expect super-fast delivery. Good anticipation and excellent hands skills are required to get the 7DG to perform well. 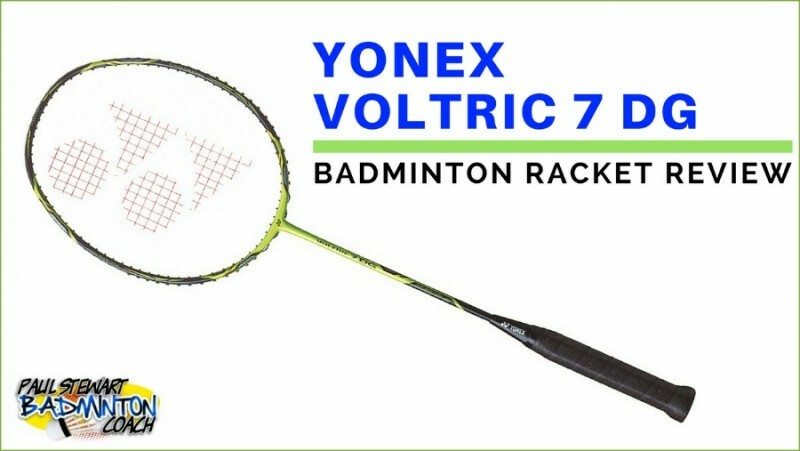 The Voltric 7DG is a mid-range badminton racket that performs very well overall. For me, it’s the better performer when compared with the slightly more expensive 10DG. The head feels a bit chunkier than the original VT7 although I didn’t have one handy for direct comparison. RRP is a surprising £85. 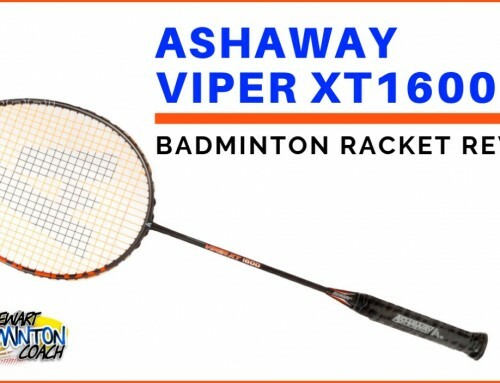 Amazingly, retailers in the UK are selling this racket for around £58. 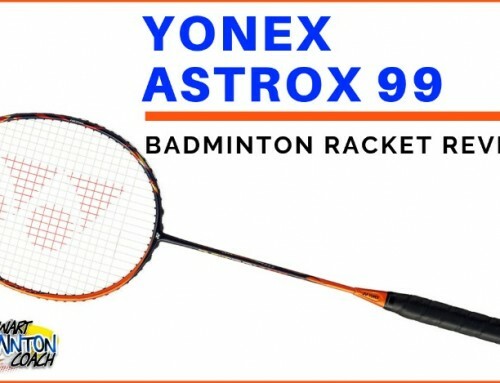 However, it is already discontinued, and will not feature in the new range of Yonex rackets this year. This is a lot of racket for the money, and in some ways it’s a shame very few players will own one here in the UK. For the price, there are fewer better rackets with these specs. 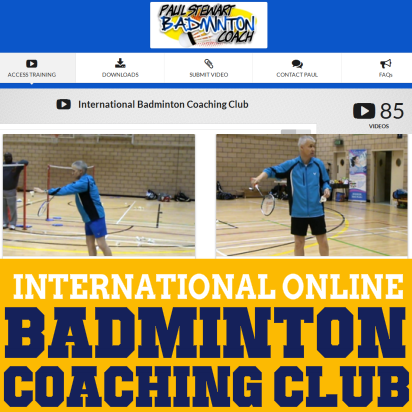 There’s been no official reason given for the withdrawal of this racket in the UK and perhaps it’s simply a case of Yonex deciding it’s not a god fit in our home market. Overall, I rate this racket 4.5 stars boosted by the incredible price! How does the Voltric 1 DG compare to Voltric 7 DG? I haven’t seen the VT1DG and therefore cannot answer your question. What is the difference between voltric 7 DG and the original voltric 7? Is it just the higher string tension limit? Voltric 7 DG is a very different racket. It feels “thicker” and of course, this is reflected in the higher string tension it is able to take. Interestingly Yonex UK have removed VT7DG from its range and I think the DG range has been dropped by Yonex. I’m not sure why but it’s possibly because too many players may string to the maximum tension and as a result get injured as they cannt handle the tension.